Robusta is a species of coffee plant (Coffea canephora) distinct from the more widely cultivated Arabica species (Coffea arabica). Robusta is estimated to make up anywhere from 20% to 30% of the global coffee market, with significant representation in Brazil and Vietnam. “Apologist” was the term chosen because Robusta is considered to be the black sheep of coffee. Why? In a word, taste: if you ask most people in the specialty coffee industry, they will tell you that the taste of Arabica coffee is objectively superior to Robusta. Stuart’s belief is that taste is not as objective as it is often made out to be, and he points to the fact that, in areas where Robusta coffee is grown, coffee drinkers develop a taste for it. Moreover, the historical record suggests even Arabica coffee is an acquired taste. But I had never tasted a cup of pure Robusta before, and chances are you haven’t either. It’s almost always sold blended with Arabica beans, often to cut costs (Robusta is substantially cheaper). It’s particularly found in some traditional Italian espresso blends, where it contributes additional caffeine, body and, especially, crema. Of course, it’s hard to draw firm conclusions. 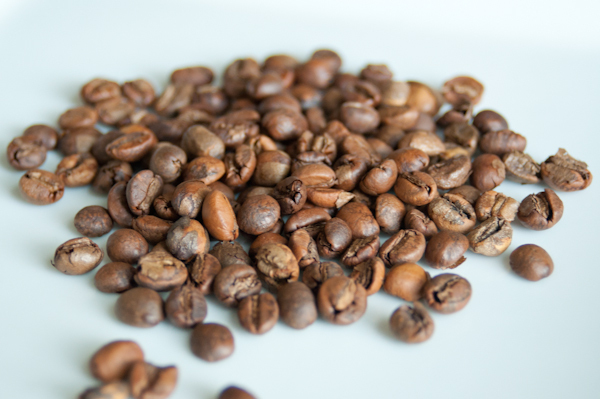 The nature of the market means that finding high-quality Robusta, especially wet-processed, is difficult. At a certain point, it becomes a vicious cycle: no one grows and processes top-quality Robusta, so the buyers all say Robusta is bad, so the growers have no incentive to treat Robusta as anything but a commodity. I will continue to drink Arabica coffee almost exclusively, but it was an interesting thing to try, and if offered a cup of Robusta, I wouldn’t turn it down. Interesting article, and I was excited to hear you got the beans at Green Beanery. It would not have occurred to me to try there. Maybe they can roast some up for me, and I can have my own Robusta adventure. Alex, I’m pretty sure they carry roasted robusta beans as a matter of course, for people making their own espresso blends. It’s certainly worth calling to ask! Nice post. After reading and Stu’s post (he and I have been friends since we were kids) and your review, I’m now interested in seeking out some Robusta and trying it myself. I wonder if Green Beanery uses some robusta in the two or three espressso blends they sell. The only one I have had is called Choco, and it is very good, rich full bodied and even a chocolate aftertaste. Unfortunately, the price of Choco has risen ed beyond what I am used to paying, so I have stayed with conventional arabicas mostly from the Laval source.